My book, The Awkward Autumn of Lily McLean was published two days ago, which feels both exciting and nerve wracking. The book launch is on the 29th of March in Waterstone’s Braehead and my nerves couldn’t be more wracked about that! Public speaking isn’t my thing. In fact, I’d go as far as to say that I’ve spent most of my childhood and adult life avoiding speaking in public. One of my least favourite childhood memories is of standing on stage reciting To a Mouse as a reluctant entrant in the annual school Robert Burns’ poetry competition. I remember speaking very fast, eager to finish the three verses I’d learned and run off the stage. Unfortunately, one of the teachers didn’t realise I had finished and tried to prompt me to say the fourth verse (there are umpteen verses). As I shuffled off the stage, scarlet with embarrassment, I vowed I’d leave public speaking, acting, reciting and singing to my more extrovert classmates. It wasn’t for me. And then, many, many years later, I wrote a children’s novel. The lovely people at Floris Books were kind enough to publish it and I discovered public speaking was indeed for me, whether I wanted it to be or not. When I went up to collect the Kelpies Prize, I was asked to make a speech. It wasn’t a great speech. It wasn’t even a good speech. In fact, to be brutally honest, it was rubbish, so my publishers sent me on a course to improve my presentation skills. I learned some useful tips, the most important ones being to settle your feet on the ground and focus on your breathing. Don’t start until you’re ready and take your time. 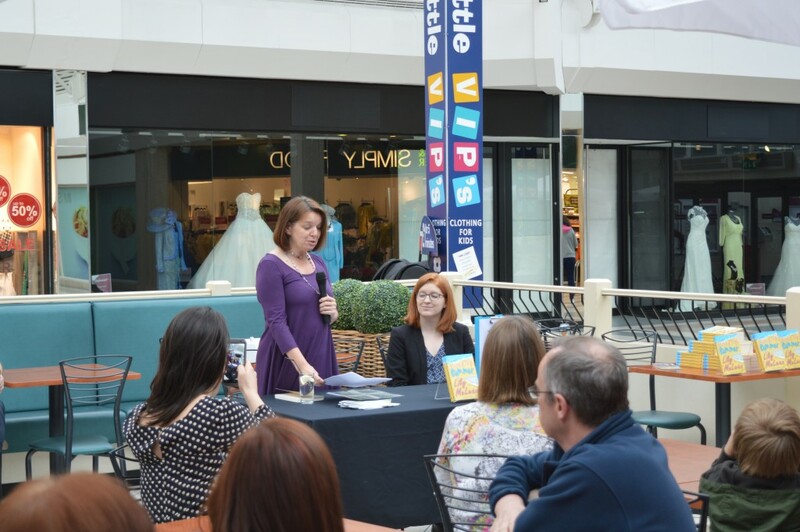 My speech at the launch of The Mixed Up Summer of Lily McLean went fairly well. People laughed in the right places. They clapped at the end. And that speech was the second of many. Nowadays I do much more speaking to total strangers than I’ve ever done in my life before and my confidence is growing, though I’m still far more comfortable speaking to children than adults. However, there’s something extra scary about speaking at the launch of my own book. I’ve spent so long writing and editing, shut in an upstairs room, cosy and comfortable, happy with my characters’ company. Now the book is going out into the world and I have to get out there too. Wish me luck! Congratulations on the book release! Thank you Jennifer. It’s very exciting!